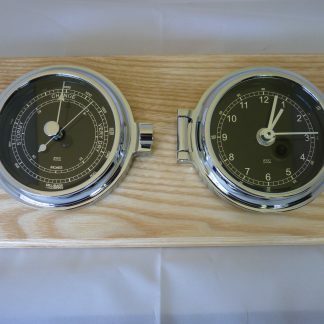 Chrome Barometer & Clock set. Spun chrome bulkhead style. 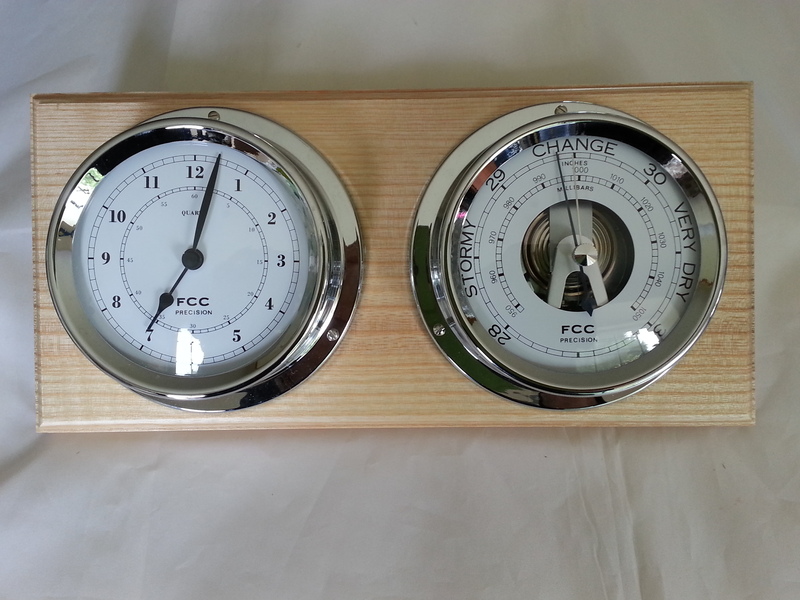 Barometer has open dial allowing chromed mechanism to be seen. Solid ash plinth displays the gleaming chrome instruments to the best advantage. The combination of ash/chrome gives a modern feel and complements light décor. For home use. Chrome Barometer & Clock set. Spun chrome bulkhead style. 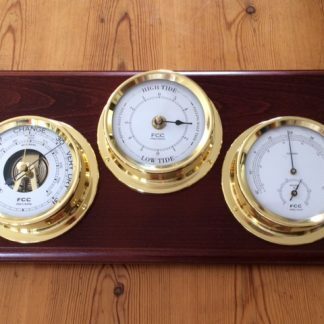 Barometer has open dial allowing chromed mechanism to be seen. Solid ash plinth displays the gleaming chrome instruments to the best advantage. The combination of ash/chrome gives a modern feel and complements light décor. How to ready your barometer: The chrome pointer in the glass should be turned so that it rests directly above the black barometer pointer. 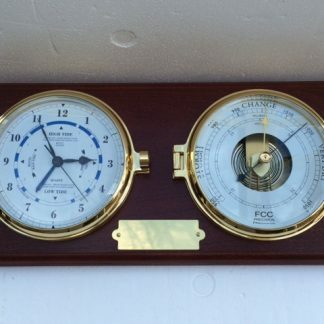 The chrome pointer acts as a marker enabling you to remember today’s pressure when you next look at your barometer. You can thus see whether the pressure is rising or falling and how significant a rise or fall in pressure has occurred. A rapid increase in pressure indicates a short period of good weather and a fast decrease indicates storms and strong winds approaching. 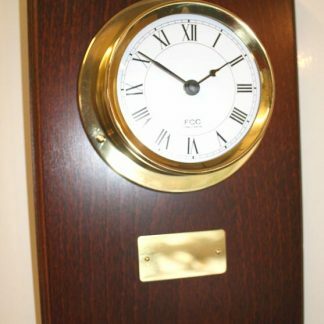 Clocks all our clocks are supplied with batteries and will work as soon as a battery is installed. We recommend you use quality batteries and that they are changed once a year to avoid leakage. We do not recommend the use of rechargeable batteries in any of our products. 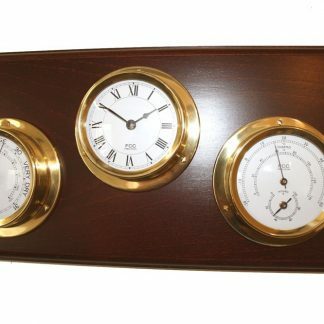 Chrome Barometer & Clock set makes a statement in any home.